Our breaching tools are designed by current serving SWAT Instructors. The range of Cobra equipment has been specifically designed to provide the quickest entry possible even to steel security doors. This lightweight bar is designed for breaking down reinforced doors. It is forged of a specially alloyed spring steel and is fully tempered. It is extremely strong in relation to its low weight, and will withstand tremendous strain without yielding. The bar's head is built for striking, and claw's sides have profiled and shaped edges to prevent "back slip" when breaching. 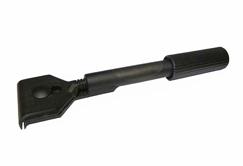 A single head entry tool forged of premium steel and fully tempered, this tool is designed to wedge open and breach heavily reinforced steel doors. The sides of the head have profiled and shaped edges to prevent "back slip" when breaching. 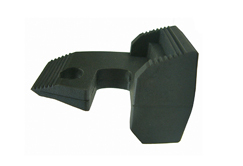 Handles are ergonomic and there is a hand guard at the striking point. 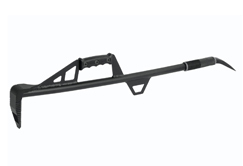 In the hands of a trained and experienced operator, this tool will normally open a security door in seconds. A forged and tempered double edged entry tool designed for wedging and breaching outward-opening wooden doors. 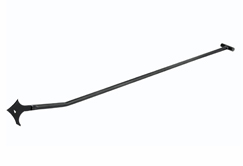 With its wide bite, this tool normally keeps a wooden door intact until it is fully forced open, avoiding the problem of the door's partially breaking and being held in place by the lock. 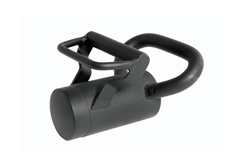 Handles are ergonomic and there is a hand guard at the striking point. Length & weight: 71.1 cm/28 in, 4.0 kg/8.8 lbs or 86.4 cm/34 in, 4.2 kg/ 9.3 lbs. Power in a small package, this small ram is an alternative to a sledge hammer when working with other breaching tools or for opening all kinds of doors. 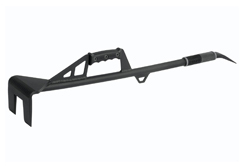 Its handy size and two handles afford precision pounding and it is easy to use in confined spaces.The Tactical Ram offers the power of a ram and the speed of a sledge hammer in one tool. Weight: 9.5 kg/20.9 lbs. Total length: 24.1 cm/9.5 in. Total width: 19.0 cm/7.5 in. Total high: 15.0 cm/5.9 in. Diameter of strike face: 8.4 cm/3.3 in. 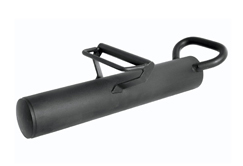 The Large Ram provides extra power when working on heavily reinforced doors, and can be used by one or two operators. A ring on the back allows for chain attachment. Weight: 18.6 kg/41 lbs. Total length: 65.5 cm/25.8 in. Total width: 23.1 cm/9.1 in. Total high: 16.7 cm/6.6 in. Diameter of strike face: 10.0 cm/3.9 in. 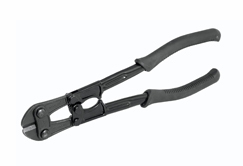 High quality black bolt cutter cuts chains, fences, padlocks, and steel bars. Handles are ergonomic and non-conductive. 91.4 cm/36 in; 6.0 kg/13.2 lbs. 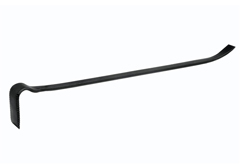 Specifically engineered for window entries, the Break & Rake features a laser cut hook, serrated blade constructed of high quality steel. Use the hook to remove curtains, blinds and other obstructions, for a safer entry. Total length 140 cm/55 in or 70 cm/27.6 in, Weight 1.8 kg/4 lbs. High quality sledgehammers. Both have non-slip rubber grips on fiberglass handles. Small Sledge Hammer: Weight 1.5 kg/3.3 lbs, Total length 30.5 cm/12 in, Head 10.4 x 4.6 cm/4.1 x 1.8 in. 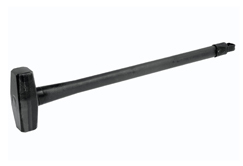 Large Sledge Hammer: Weight 4.0 kg/8.8 lbs, Total length 76 cm/30 in, Head 18 x 6.6/7,1 x 2,6 in. To unfold the cover plate on the gap between the door and door frame. Easy to use on niche mounted doots. Painted with black anti-reflection colour. Plastic coated handle for a good grip. Size: 31.5 x 7.5 x 3.7 cm / 12.4 x 2.9 x 1.5 in. Placed on the inside of a door hinge to keep an open door open. Size: 8.4 x 6.1 x 5.6 cm / 3.3 x 2.4 x 2.2 in. 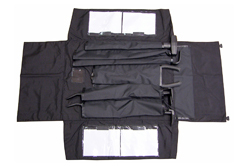 Black carry bag designed to hold Gränsfors tactical tools has seven separate pockets inside and one pocket with zipper outside. Includes a breaching manual for different types of doors. The bag can be carried conventionally or as a backpack. Made of durable Cordura 1000.